While going thru some old photos, I came across the attached. 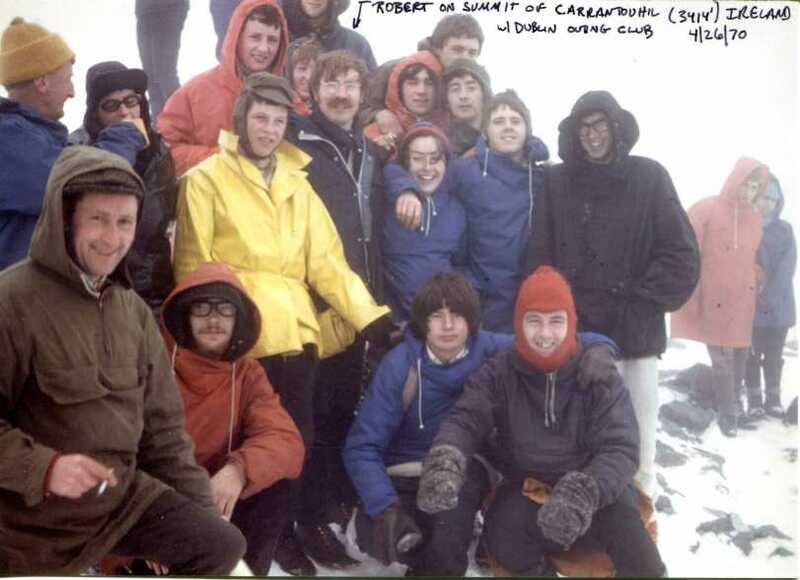 Taken on the summit of Carrauntoohil on 26 April 1970. Nearly 47 years ago! I had hiked up solo to the summit and there I encountered a hiking group which my notes tell me were members of the Dublin Outing Club. Group photo. I'm the person under the arrow with the eyeglasses and bushy moustache. I thought the photo would be of interest to your group. Perhaps some people in the photo would be recognizable to older members. Of course, I may have the name of the group wrong. Maybe some of your members would have a better understanding of either the group or the people in the photo.